The Las Vegas Bowl uniforms are ready, and there will be a color rush on the field Saturday. 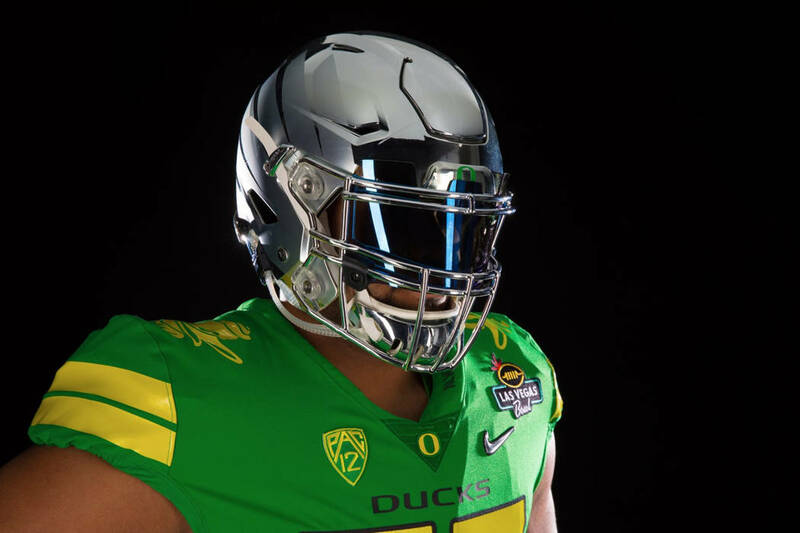 Oregon announced on Twitter on Thursday that its players will wear green jerseys, green pants, green cleats and silver helmets. Boise State followed suit Friday announcing its uniform combination on Twitter. The Broncos will sport their all-blue uniforms along with blue helmets for the game. The Broncos also have been wearing their blue jerseys at public events around the valley this week. The teams kick off at 12:30 p.m. Saturday at Sam Boyd Stadium.